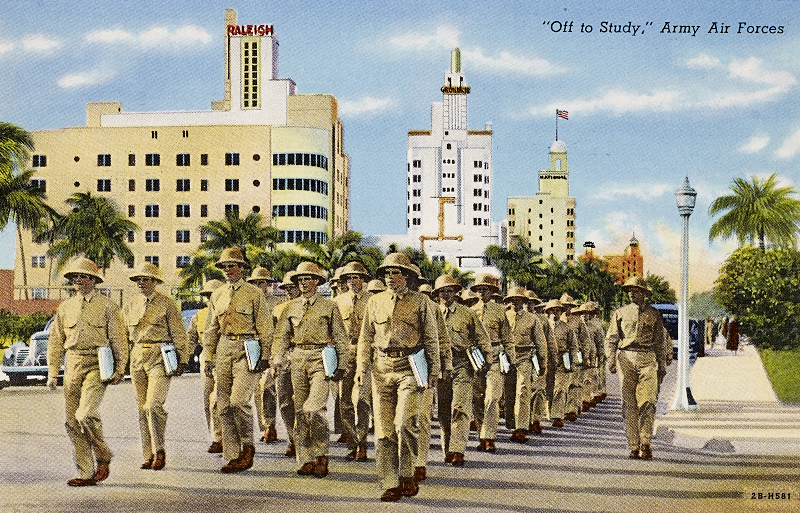 Over the course of the last couple of weeks, three Florida International University (FIU) students enrolled in my America & Movies: War and Anti-War Propaganda Films from the Spanish-American War to the Present history class have been visiting frequently and working furiously on a new library exhibit scheduled to open next week. 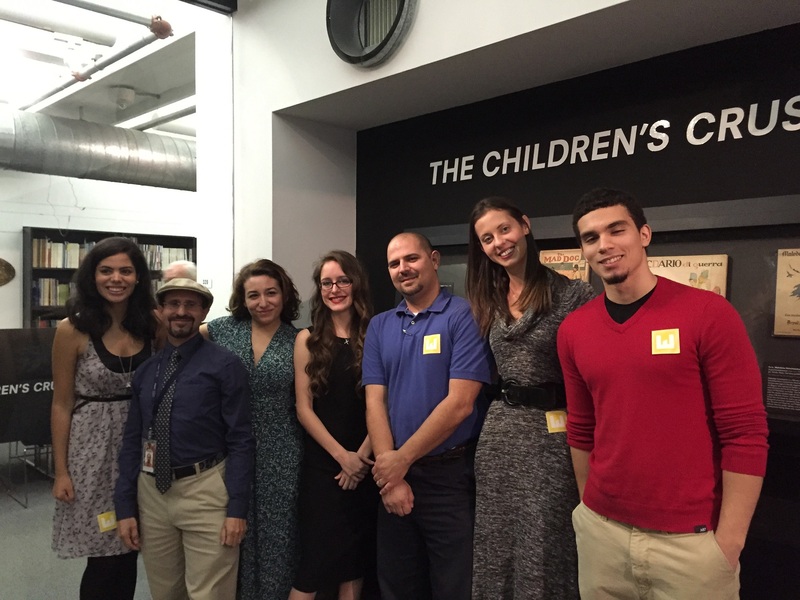 All three students, Todd Jolly, Natalie Vera, and Stephen Castellanos, are veterans—not according to the military definition of the word—but by virtue of having been contributing curators of the current exhibit commemorating the outbreak of the First World War. 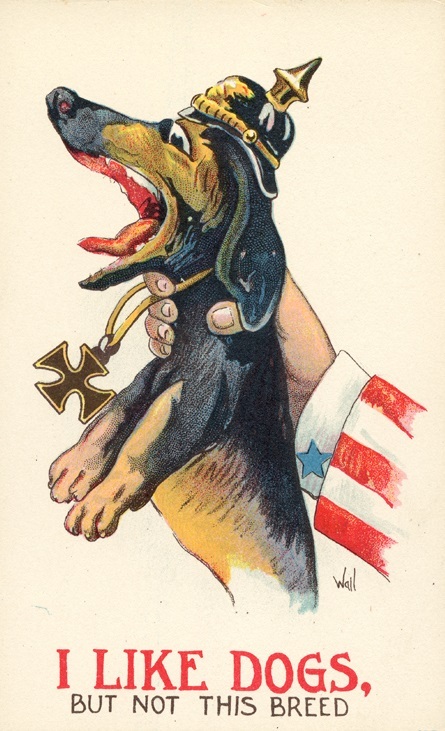 That exhibition, The Children’s Crusade, focused on propaganda designed to inspire, manipulate, and motivate the youngest citizens of those nations participating in the Great War. 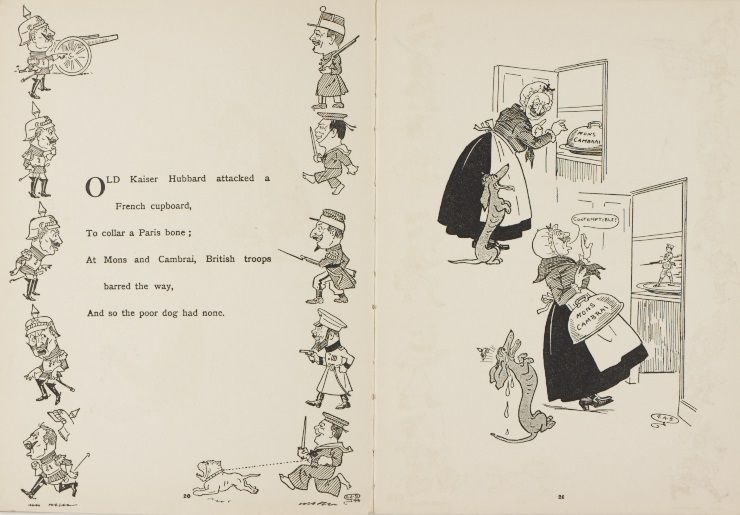 The students selected a wide variety of formats, including: puzzles, games, sheet music, atlases, postcards, pamphlets, nursery rhyme, alphabet, syllabification, and coloring books. 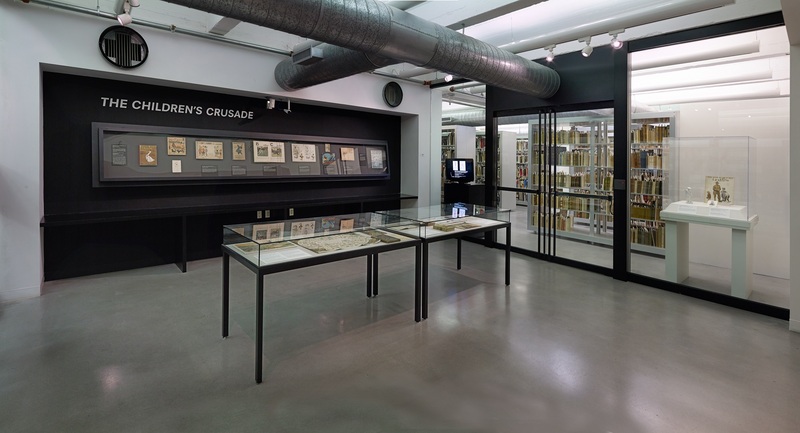 To overcome the limitations of space in the cases, the students also prepared a Powerpoint presentation that ran on a loop on a computer screen in the library foyer. 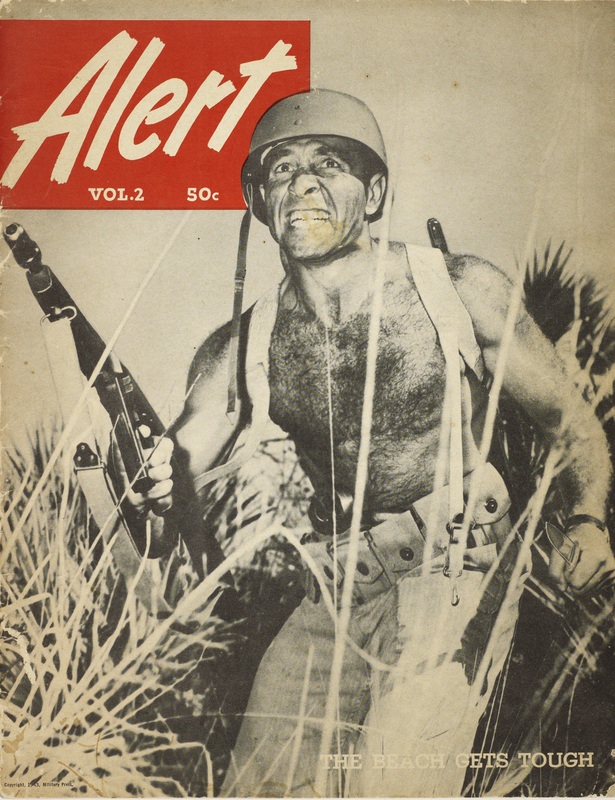 Among the materials they selected for the show are a couple of my personal favorites. 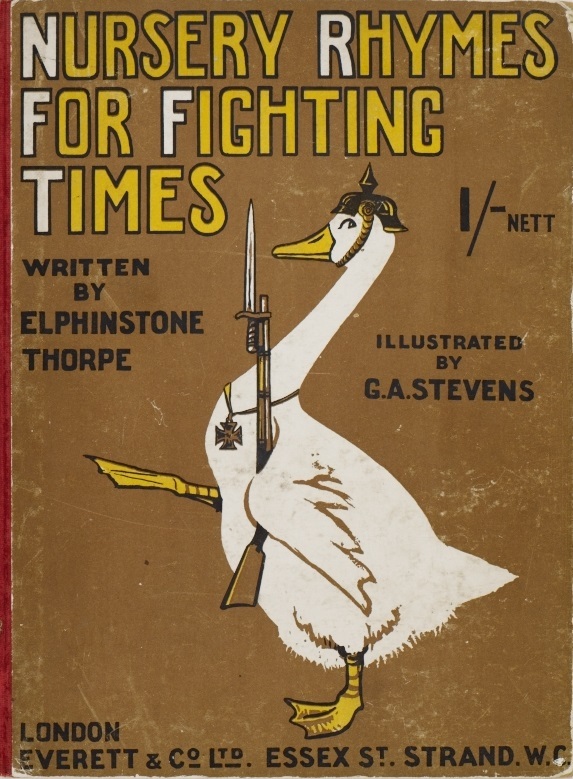 The first is Nursery Rhymes for Fighting Times with a cover in which Mother Goose has been supplanted by a “Goose-stepping” Prussian goose wearing the pickelhaube helmet of the German army. 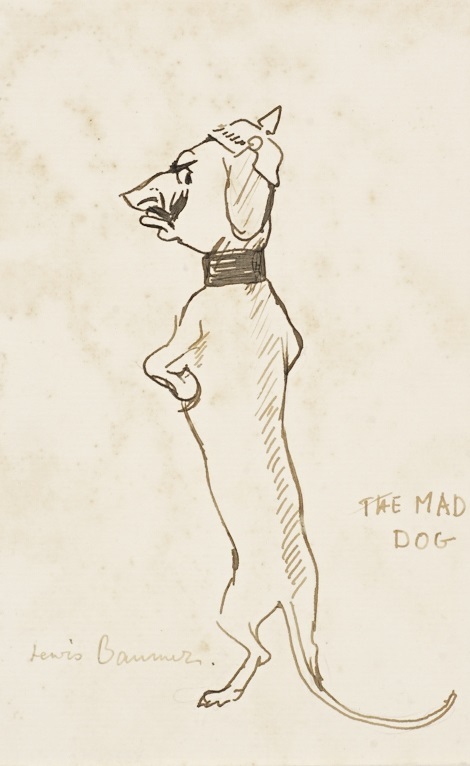 GIFT OF MITCHELL WOLFSON, JR. 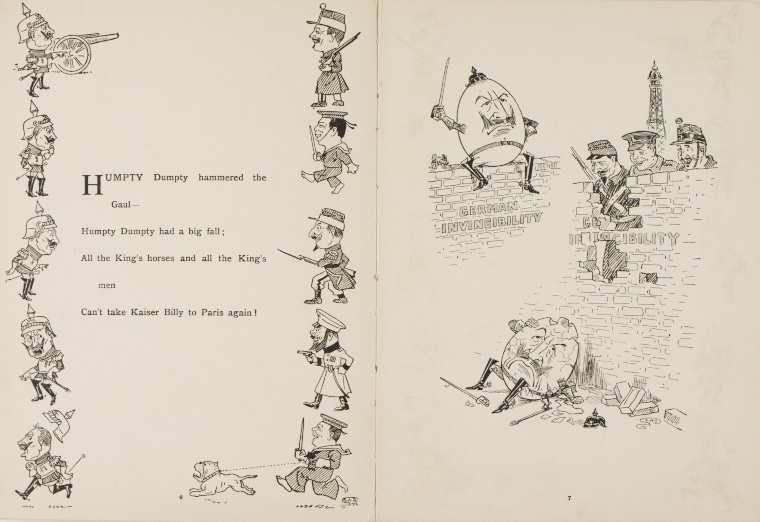 The text and illustrations between the covers read like “fractured fairytales” in which the German Emperor stands in for Humpty-Dumpty (awaiting his fall), Little Hans Horner, Old Kaiser Hubbard, and other popular nursery rhyme characters. 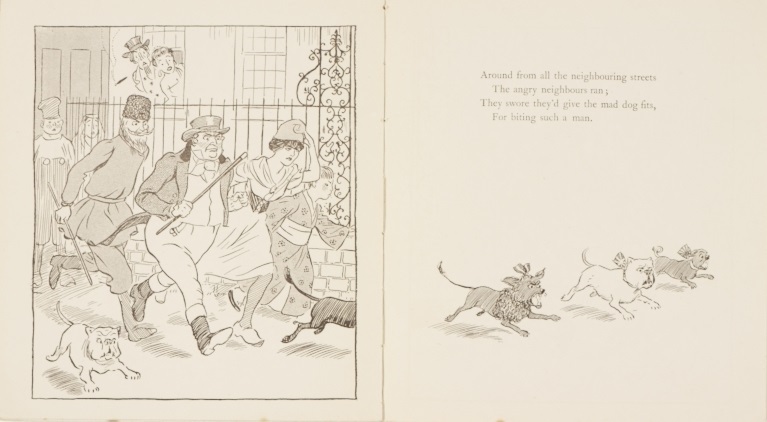 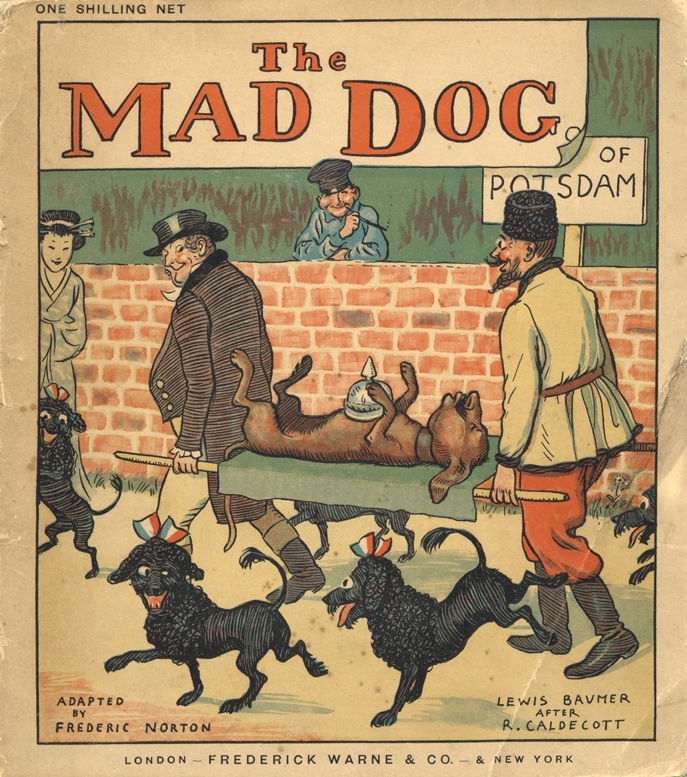 Another delightful children’s propaganda book is An Elegy on the Death of a Mad Dog, a parody that caricatures Kaiser Wilhelm as a rabid dachshund who bites an unoffending Belgian man before being chased off by John Bull, Marianne, a Russian Cossack, and a Japanese Geisha. 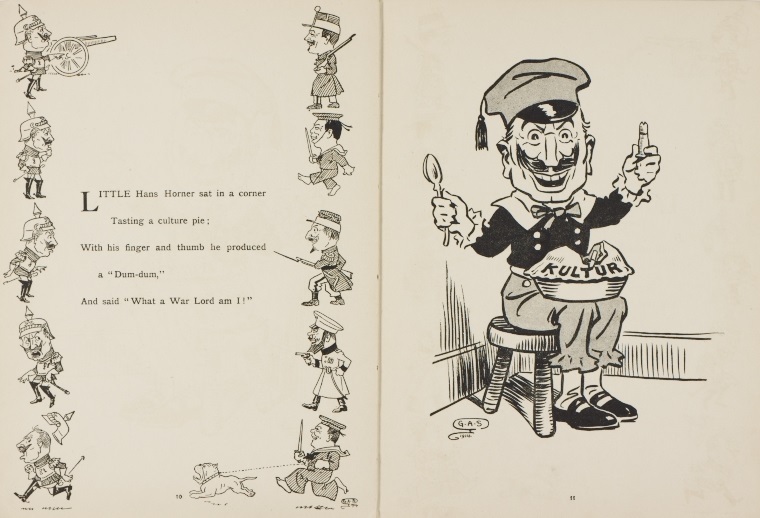 The story ends “happily” with the recovery of the Belgian and the death of the rabid dog with the Kaiser’s mustache! 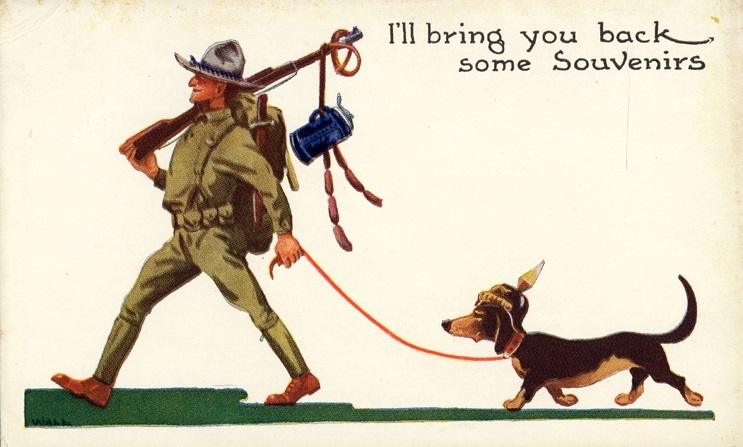 Throughout the First World War, things associated with German Kultur fell into disrepute, so that in America, “sauerkraut” was repackaged as “liberty cabbage.” The poor dachshund was transformed into the symbolic scapegoat of anti-German sentiment, as pictured in a series of comic American postcards illustrated by Bernhardt Wall (1872-1956). 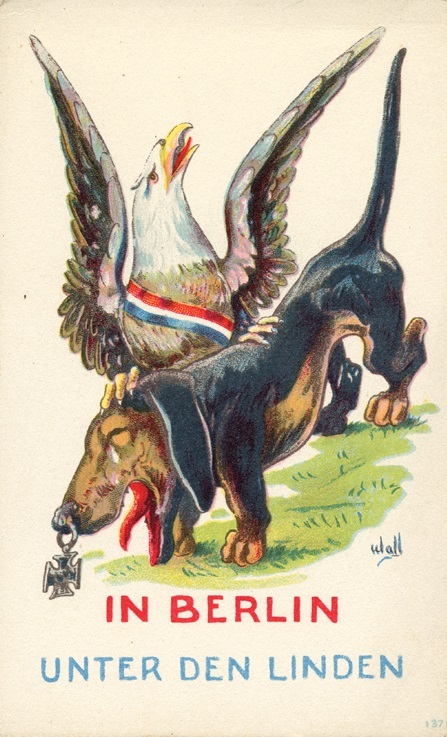 Exhausted by four years of bloodletting, the war-weary nations fighting the Great War ended the conflict in 1918 with an armistice and then a vindictive treaty of peace that almost guaranteed a sequel. 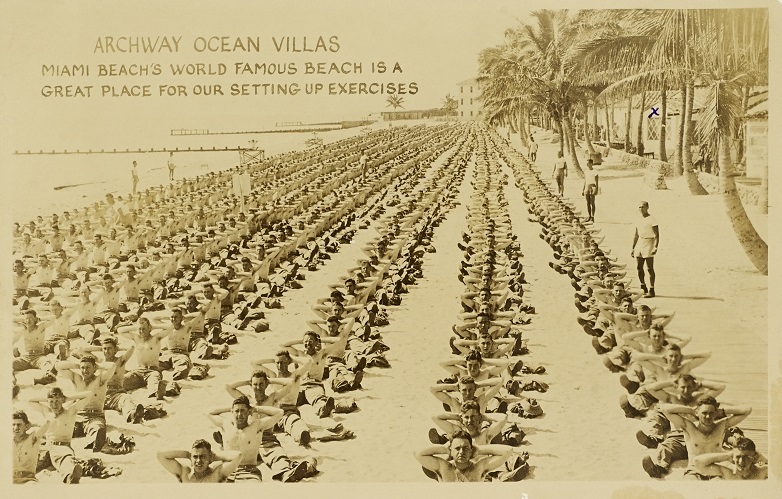 The library is now staging an exhibition titled, At Ease, set to open next week. 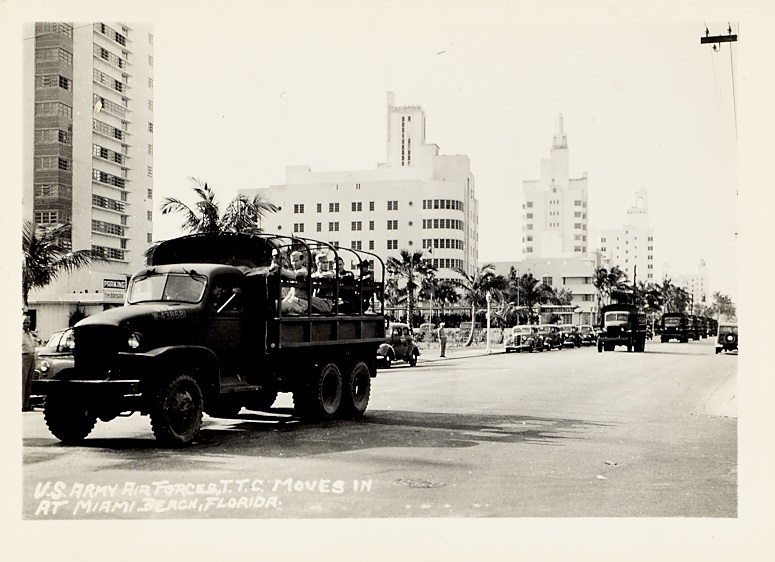 The exhibit, (opening in time for the City of Miami Beach centennial anniversary celebrations), will showcase the transformation of Miami from a winter tourist resort into a military barracks for U.S. Army Air Forces during the Second World War. 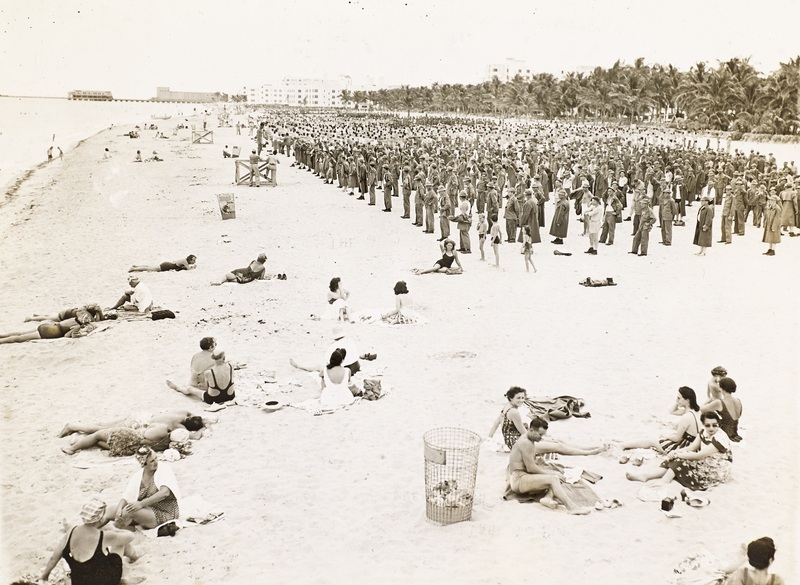 To combat the Nazi submarines responsible for sinking ships off the Florida coast, in 1942 the U.S. military established airbases in South Florida, and over the course of the war, housed, trained, and drilled more than half a million servicemen on Miami Beach. 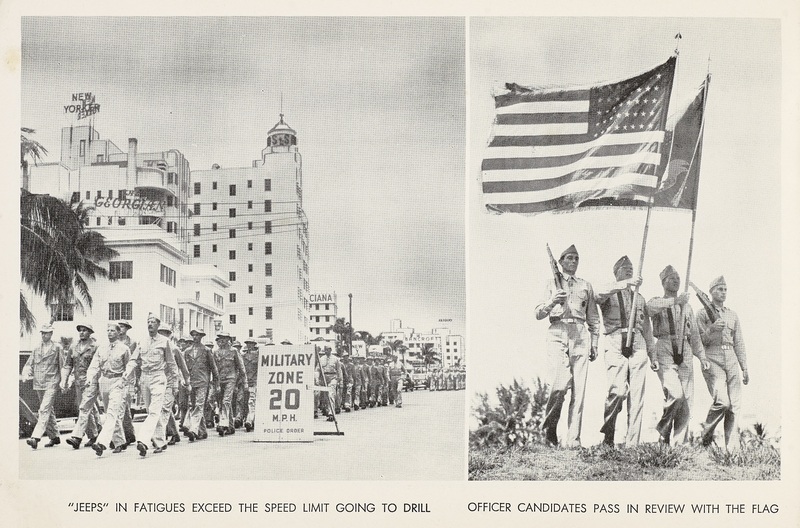 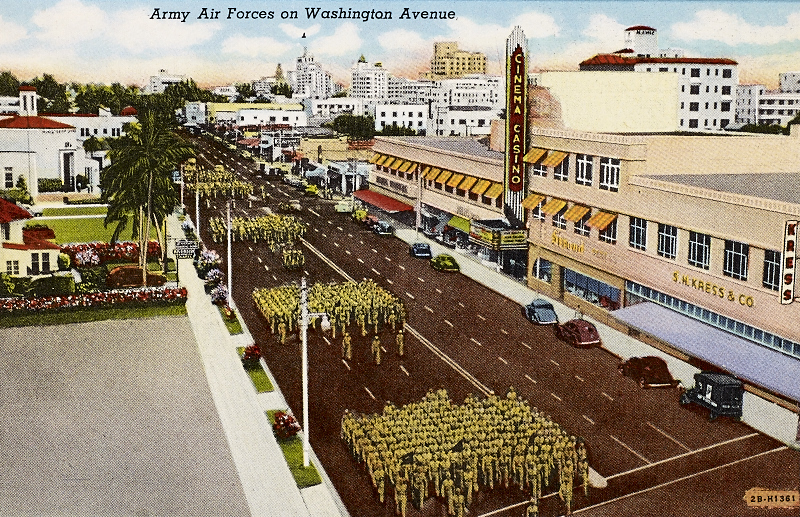 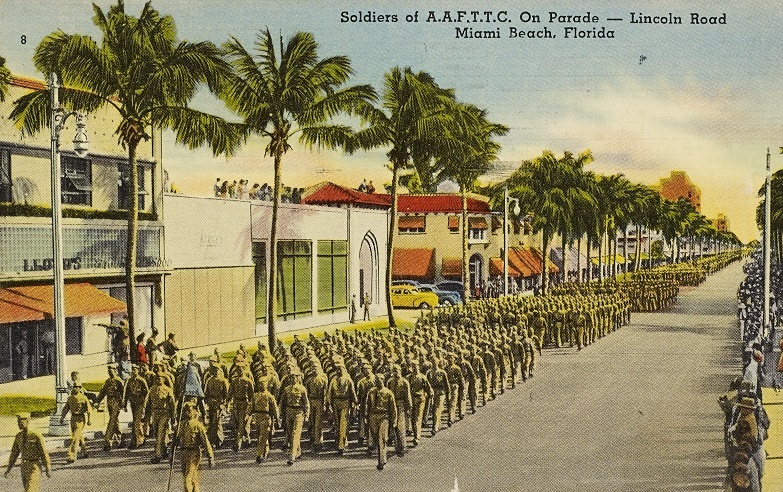 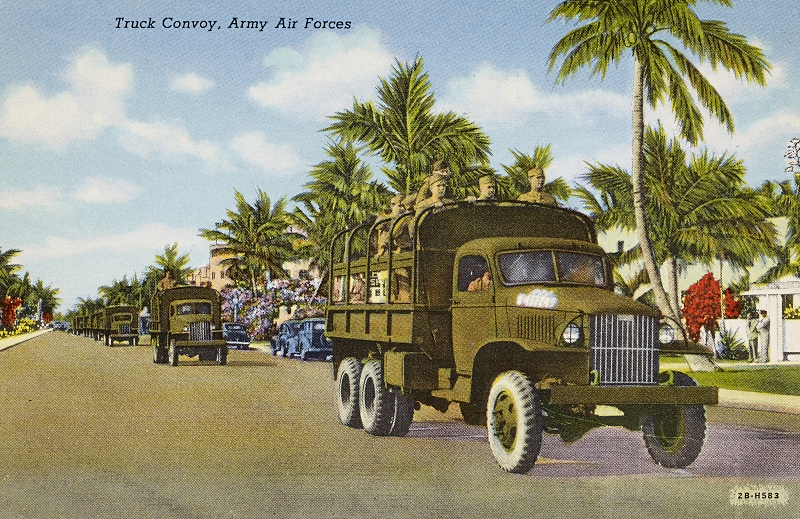 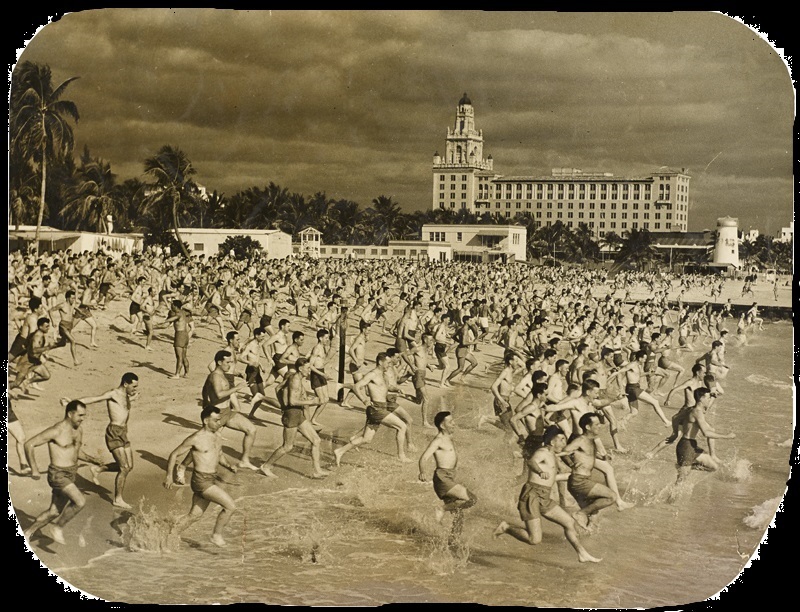 Vacationing visitors and servicemen stationed on Miami Beach could purchase souvenir view books with postcard-sized images that fold accordion-style into a sleeve that could be mailed home; the ones printed during the war alternated images of military life with the more typical holiday scenes. 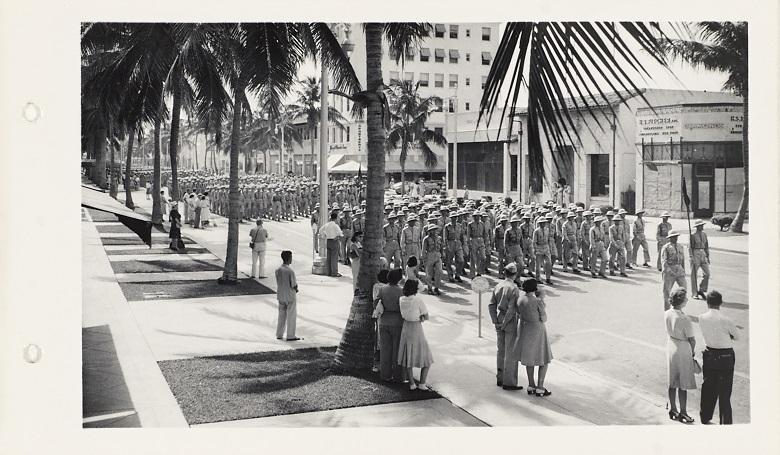 If this brief preview has caught your eye and interest, be sure to visit the exhibit after it opens this coming Friday. 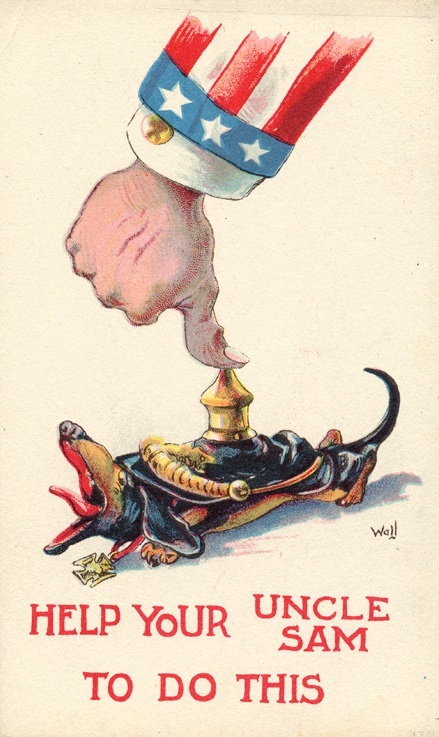 ~ by "The Chief" on March 13, 2015.